Simple Stories DIY Boutique and a Giveaway! Hey there! WOO HOO!! I am here with you today and get to share my lovely experience with Simple Stories' DIY Boutique. When I saw this at CHA I knew it was a must have. There are so many elements and embellishments that the creating possibilities are endless! So let's get started! -Lots of stickers to embellish. -The colors are bright and vibrant. -The patterns are both tight and big so you can pick and choose what you would like. -Now this is a stretch for me. The only complaint I have is that there are no alpha stickers. That's it. Everything else is FAB! Bottom Line: All in all I loved this collection. The creating possibilities is endless! So many things you can do with it. The above projects are more toward the beginner end of the spectrum just to show how easy it is to work with. What do you think? Leave a comment by midnight EST Tuesday telling us what you think and you will be entered to win a prize pack from Simple Stories! U.S. residents only. Please leave a way to be contacted! LOVE LOVE LOVE the bright fun colors of this collection!!! Definitely want to get my hands on this at some point! This collection is beautifully bright. Love what you did with it. 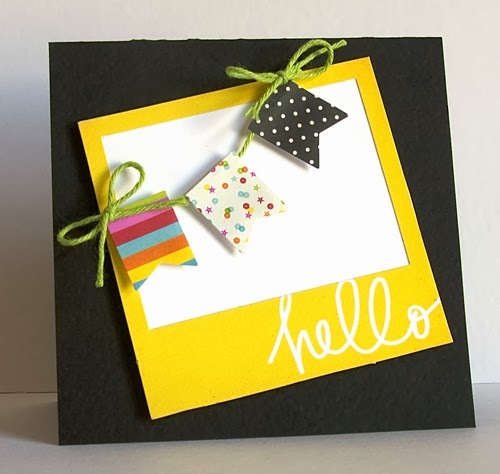 Cute line, cute projects! I love the bright pop of this! Thanks for the chance. I pretty much love all things Simple Stories, but this collection is just WAY too cute! I LOVE the bold colors! Beautiful collection. Thanks for the chance to win. Bright, bold, colorful! Could be used for so many things! LOVE the DIY! I think this looks like a fun collection. I like the black background on some of the papers, as well as the graphic patterns. This is such a cool concept! I'd love to get to play with it! I love the bright and vibrant colors of this collection! The graphic prints appeal to me too. 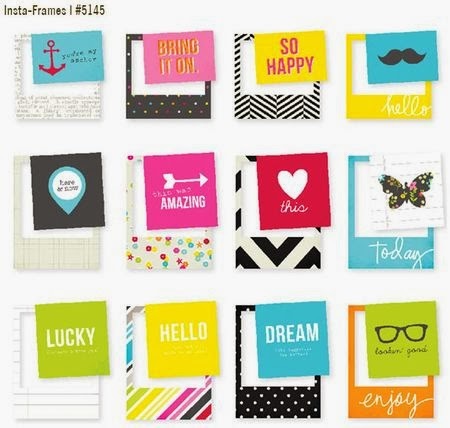 Easy to make eye-catching layouts and cards - Simple Stories certainly knows how to please. :) Thanks for the chance! 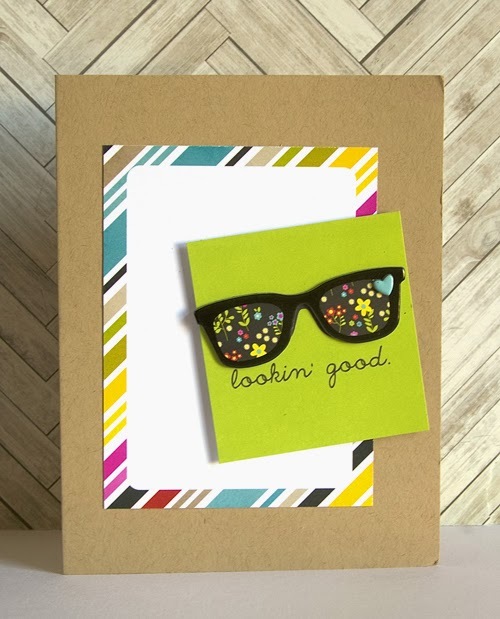 I like the bright colors, and the images, especially the glasses. Nice. Oooh, I LOVe the Insta Frames and all the fun bright colors! Love the bright fun colors. Definitely need those insta-frames! Cute collection! I love the colors and those insta-frames! What a gorgeous fun collection! Love the bright colors! Great cards too. I love all the bright colors! Thanks for the giveaway! 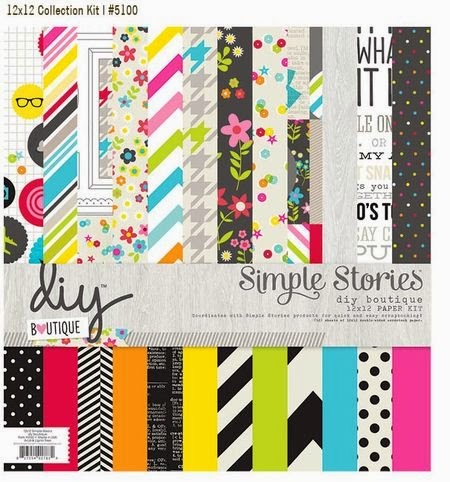 I don't think Simple Stories has created anything in their product lines that I don't like - love it all! I LOVE the bright colors in this collection! I hope that's a new trend! I'm a HUGE SS fan and I really love the bright colors here! Your cards are super cute!! LOVE this collection! The bright colors are so inviting, and Simple Stories is one of my favorite designers. Thanks for a chance to win. Great cards! Thanks for the giveaway. Love the bright colors and variety. Really like how everyone used it. Thanks for the chance to win. This looks like a fun and fresh collection to work with. I love both of your cards. Another awesome collection from Simple Stories!!! Thanks so much for the chance to win! I don't remember seeing this one during CHA. Live the color scheme! Love, love, love it, SS is one of my very fave lines. Alpha stickers would be good. This delicious colors would look great on black! I love the bright and fun colors of this collection. Was excited about it from the first time I saw it from CHA. Love the chipboard pieces. So fun! 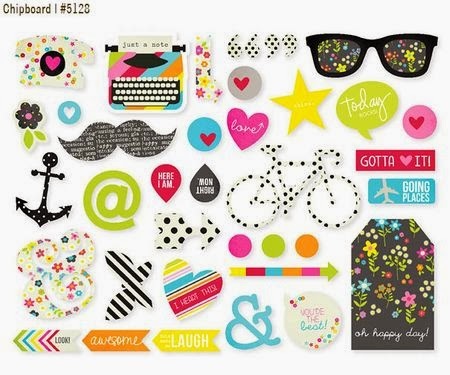 Love the little instagrams and all that chipboard! The insta frames are adorable, and I LOVE LOVE LOVE that pretty PP you chose to put inside the glasses! Great choice! Love the bright colors. Such a fun collection. LOVE LOVE LOVE!!! the colrs are fun and cheerful and bright and vibrant; OH the possibilities!!! I LOVE this collection from Simple Stories! It's so bright, colorful and fun! It is so versatile...the possibilities are endless! I have had my eye on this collection. I love the bold colors. Love most things Simple Stories! This is no exception! I love the bright happy colors! This line is one of my favorites, love it so much and hoping to get some soon! Beautiful work and thank you for the review!